Uzumcu manufactures medical equipment, including operating tables & accessories, medical hand tools, surgical suction units, medical gas systems, stainless steel hospital equipment, electrosurgical devices and medical lights. It also offers medical lamps and examination lamps, and devices for cryosurgery and cryotreatment, including chambers. 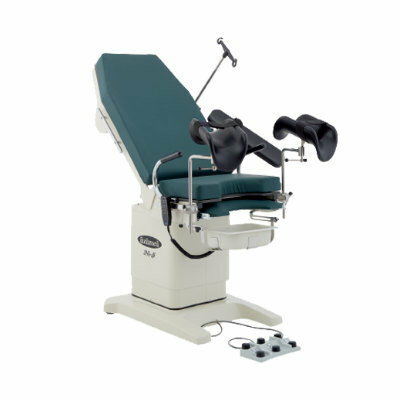 The JM-4F gynecological table is suitable for any kind of gynecological examination and operation, and makes ergonomic examination and diagnosis possible for the doctor. It features Visco elastic seamless mattress that ensures hygienic conditions and patient comfort, and can be easily cleaned in accordance with hospital decontamination rules.